Alma del Campo is the second brand in what Plasencia is intending to be a five-part series. When Nestor Andrés Plasencia and his father formed their distribution company last year—Plasencia 1865—they vowed to deliver distinct cigars blended with aged leaves from their vast library of vintage tobacco. So far, they've kept their promise with Plasencia Alma Fuerte (93 points, Cigar Aficionado). Now, they're introducing their second release in the Alma Series at the IPCPR trade show, which opens today. It's called the Alma del Campo. It isn't intended to be quite as powerful as the Fuerte, but, according to Plasencia, stresses balance over strength. 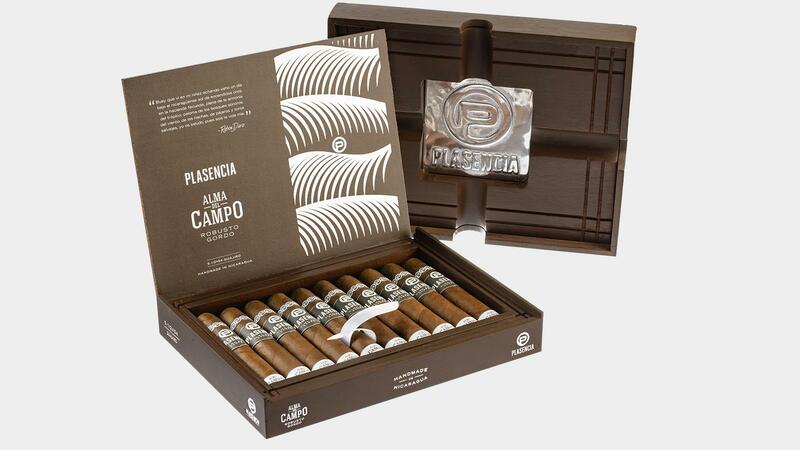 Although the Plasencias have been growing tobacco for generations and servicing a huge portion of the premium cigar segment, they only formed the Plasencia 1865 distribution company last year. This year marks the first time that Plasencia 1865 has a presence at the IPCPR. Alma del Campo is made from only Plasencia-grown Nicaraguan tobacco. "We are thrilled to be participating in the IPCPR Trade Show in Las Vegas and to be featuring Alma del Campo," said Nestor Andrés Plasencia, CEO of Plasencia Cigars. "Since 1865, first in Cuba and subsequently in Nicaragua and Honduras, we have been producing the highest quality tobacco, and now participating in such an important event like the IPCPR and showcasing our Plasencia brand name cigars for the first time marks a huge milestone for our family." Made from only Plasencia-grown Nicaraguan tobacco (Criollo '98 of various ages), Alma del Campo will come in five sizes: Travesía, which measures 6 1⁄2 inches by 56 ring gauge; Sendero, 6 by 56; Madroño, 6 1⁄2 by 58; Guajiro, 5 1⁄2 by 52; and the Tribu, 5 by 52. Suggested retail price ranges from $15 to $19 each. They come in 10-count boxes, each made with a lid that doubles as an ashtray. The Alma del Campo is the second brand in what Plasencia is intending to be a five-part series. Like the Alma Fuerte, it's made in Nicaragua at Plasencia Cigars S.A.